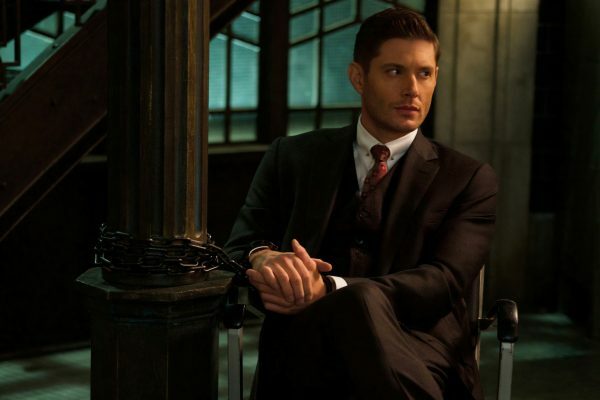 Supernatural has returned from its winter hiatus and we set out to deal with the cliff-hanger of Michael repossessing Dean. Many characters and many layers of plots going on in this episode, but the true resolution is still to come. Death seems a certainty for someone, but who? 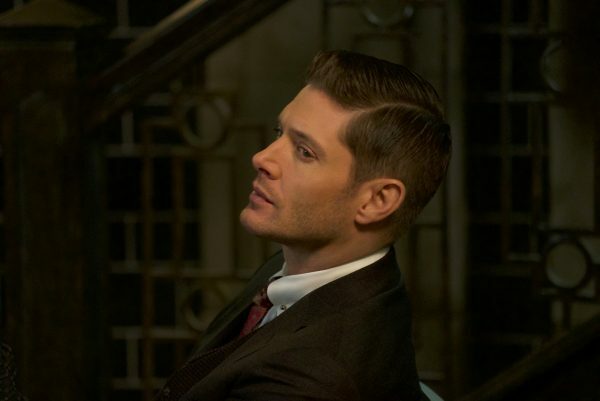 While I was glad that the possession of Dean by Michael was not yet over, because I do like seeing Jensen play the character, I am also constantly uneasy over how much power the archangel has and how he can manipulate others. And he showed that in his conversations with Jack and Cas. Taking an already emotionally-fragile young man who wants to believe he has a family and seeding doubt in him, it was hard to watch. I don’t want any harm to come to Jack. I especially don’t want him to lose what precious amount of soul he has left, as Cas points out, but he’s got that Winchester sense of sacrifice running through him. He sees his friends or family in danger, he will do what he can to save them, even if it means sacrificing himself. Let’s hope he doesn’t have to make the ultimate sacrifice before this is all over. I’ve already lived through Jack dying once. I don’t know if I can do it again, especially if he becomes not-himself near the end. For Cas, the way to get at him isn’t so easy, but I can tell Michael was beginning to cause cracks in Cas’ foundation. Why does Michael want to burn the world? Because he can. But, digging deeper, it all runs back to the damage Daddy did, just like seems to be a common theme in all the angels. In his world, when Michael and Lucifer fought, they thought God would come back and give them answers, but he did not. Living through that, and now being inside Dean, Michael knows why. God doesn’t care about his children or his creations. The worlds are nothing but failed drafts to God, so Michael’s going to burn every one of them until he catches up to the old man and finally kills him. Ah, the Daddy issues. It’s such an ongoing theme in the traumatic lives of our favorite characters. And, speaking of trauma, Dean’s holed himself up in a wall of contentment, oblivious to the trauma that is happening to him. This is someone whose life is fueled by traumatic events, which tends to make him even more determined, so of course Michael wants to make sure he doesn’t fight. What better way than to give Dean the dream of a good life? 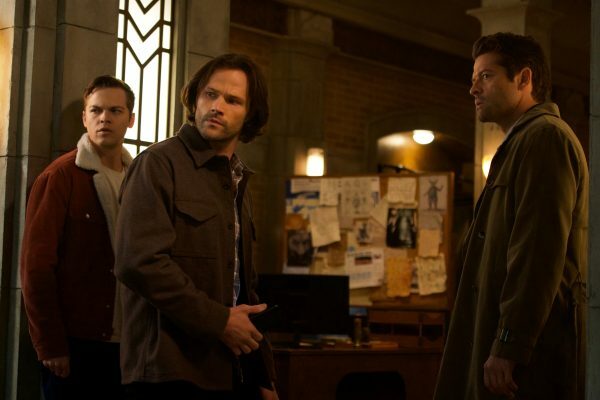 He owns a bar, gets to hang out with Pamela, dabbles in the supernatural when it comes knocking at his door, and both Sam and Cas come home to him safe and sound after each hunt they go on. Plus, there were a number of references for us fans to play around with: Rocky’s Bar and the visuals of both the moose and squirrel in the bar for Rocky and Bullwinkle, the carving of Daphne Loves Fred for Dean’s love of the Scooby Doo character, the Cosmic Cowboy IPA which is carried at Jensen’s Family Business Beer Company, references to Jensen’s home state of Texas, and also tributes to Dean’s loves of the Impala, cassette tapes, and pool. 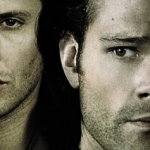 It was a fun romp into Dean’s mind, but also an elaborate fantasy he had to break free from. 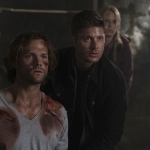 I liked that the truth started filtering in a bit at a time, and it was finally Sam’s reference to Poughkeepsie, which is their code for “drop everything and run,” that makes Dean remember everything. While I applaud Dean for taking control of Michael and locking him away inside Dean’s mind freezer, I do not think it will hold forever. And with Billie taking a keen interest in the outcome, the stakes are even higher. 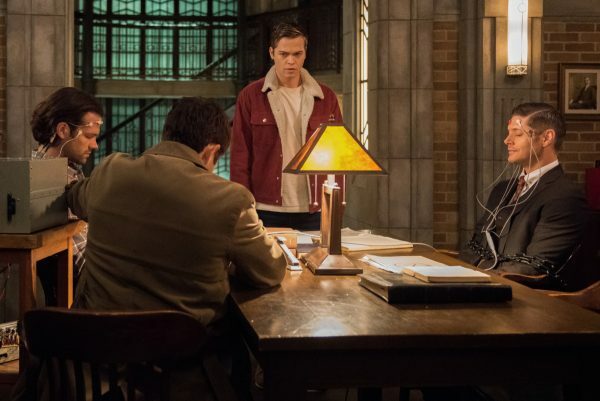 Every single one of Dean’s notebooks speaking about his death has been rewritten with the same ending – Michael escapes, takes control of Dean again, and fulfills his plan to destroy the world. All of them, that is, except one and Dean gets to see it. Talk about pressure! And what’s he supposed to do with that knowledge? Set himself up so he dies in such a manner, avoiding Michael’s control? Or try to write his own ending that has nothing to do with Billie’s book or Michael’s plan? There’s a lot of questions left to be answered and not a lot of hope for a happy ending. Welcome to the back-half of Season 14!